Read more: Какие отделочные материалы безопасны? 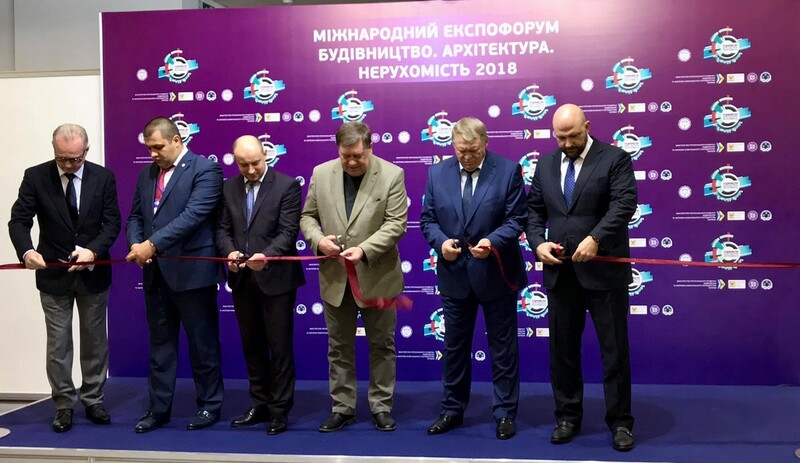 The organizer of the ExpoForum Kyiv International Contract Fair, Ltd. expresses gratitude to partners, exhibitors and guests of the exhibition for active participation and interest in the business program! See you at the main building event of Ukraine InterBuildExpo from the 19th to the 22nd of March 2019! Read more: International ExpoForum “Building. Architecture. Real Estate” has finished its work! International Laboratory of Architecture 2018 within the International ExpoForum “Building. Architecture. Real Estate”! We would like to remind you that you can attend the ExpoForum in IEC till September 28. Read more: We continue sharing the news of the exhibition with you! Exclusive interview with Peteris Bajars, the founder and head of OUTOFBOX bureau (Latvia) within the International ExpoForum “Building. Architecture. Real Estate” at the International Laboratory of Architecture. We suggest watching a short video-report about the opening ceremony! We remind that the ExpoForum is held in the International Exhibition Centre and will run till September 28! Read more: We congratulate participants and visitors on the opening of the exhibition! We are waiting for you from the 26th to the 28th of September in the International Exhibition Centre at the main business platform of construction industry! Read more: International ExpoForum “Building. Architecture. Real Estate” has officially started its work!